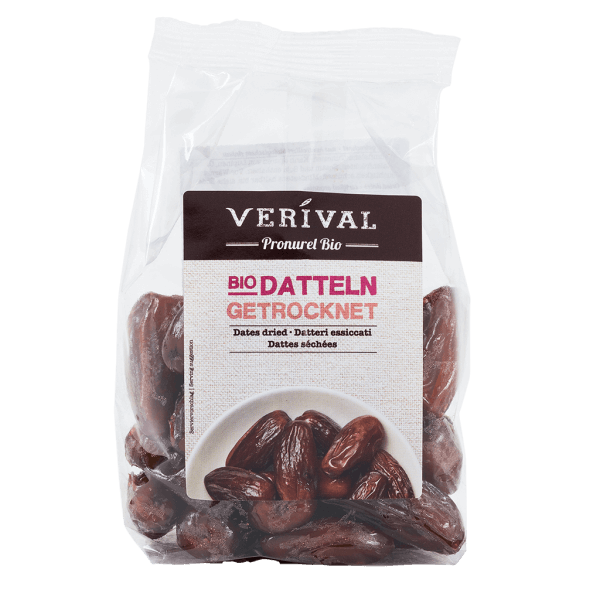 Our dates are harvested when they are fully ripe and packed without preservatives or other additives. Take as a fruity treat between meals or added to muesli, yoghurt or fruit salad. > May contain traces of gluten, nuts, sesame seeds, lupines and soy.